Robert Jacobson, M.D., is a Professor of Pediatrics in the Mayo Clinic College of Medicine in Rochester, Minnesota, and serves as the medical director for the Population Health Science Program at the Mayo Clinic Robert D. and Patricia E. Kern Center for the Science of Health Care Delivery. 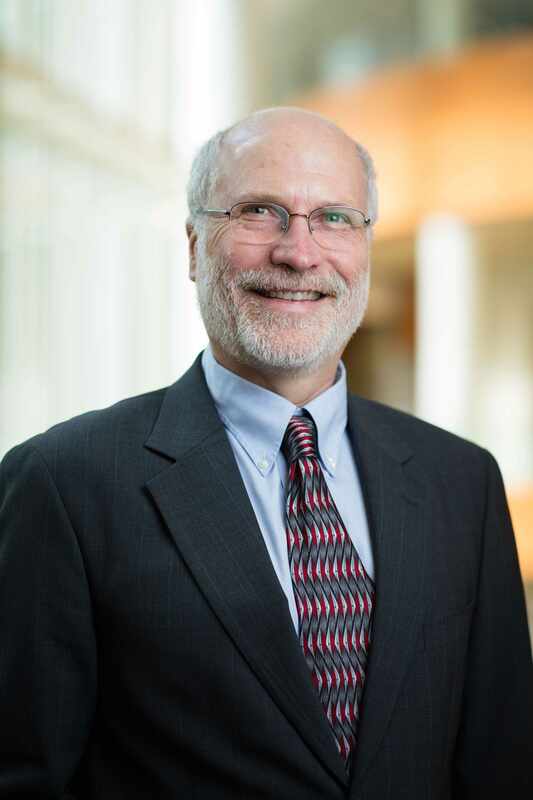 He also leads Mayo's Employee and Community Health Research Initiative. The expense and rigid requirements of traditional randomized clinical trials (RCT) combined with its tendency toward a lack of representativeness limit utilization of the RCT design for health services research. A variation of that method overcomes many of the limits. In a recent issue of Academic Pediatrics (March–April, 2015, Volume 15, Issue 2, Pages 128–133), my colleague Yasaman Fatemi and I articulated the role stepped wedge cluster-randomized trials might play in pediatric health services research. While relative few such trials have been published so far, those available demonstrate the power that such an approach might have. Imagine you wanted to test a novel approach to a common condition that comes on acutely and often lands patients in the emergency department (ED). Your novel approach involves alerting your patients of the new service, training your team to deliver the new service, and making it available for patients in such a way that it can function to manage the condition successfully and reduce emergency room visits. Area practices are really attracted to the idea, and it might just work. But then again it might not. Or it may work sometimes but not enough to justify its expense. How do you decide if it’s the right thing to do? You need to study it, and the stepped wedge design offers a winsome approach. The pre-study planning includes design of not only the intervention, but what the implementation and training will look like. This plan can be communicated to partner clinics which are then offered the opportunity to participate in the study. For the first step in our example, you monitor all the practices and the ED visits their patients had for this condition. For the second step you randomize one practice to train and continue monitoring the practices for the ED visits. For the third step you randomize another practice. For each next step you add another practice. You continue the steps until all the practices are trained. 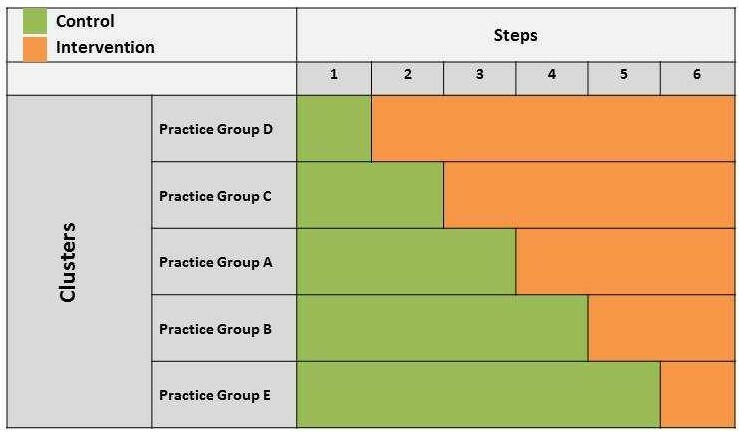 Not only can this stepped wedge approach reduce the patients’ time and effort necessary by permitting the use of administrative data rather than individually collected outcome data, but it allows for practices to implement the intervention under study in a practical, affordable approach that is attractive for staff and practices to consider. The Population Health Science Program in the Mayo Clinic Robert D. and Patricia E. Kern Center for the Science of Health Care Delivery is committed to develop opportunities to employ the stepped wedge cluster-randomized trial design to evaluate population-level testing health services interventions in the primary care setting. In particular, our program seeks to partner with Employee and Community Health, Mayo’s primary care practices, to evaluate the effectiveness of proactive approaches to engaging patients in preventive services including vaccination and cancer screening. Such efforts will serve as the evidence base for improving our practice and the health of our patients. Learn more about what Mayo Clinic and other leaders in the science of health care delivery are doing at Delivery Science Summit 2015! Share your own work - submit your late-breaking or emerging science abstracts here.